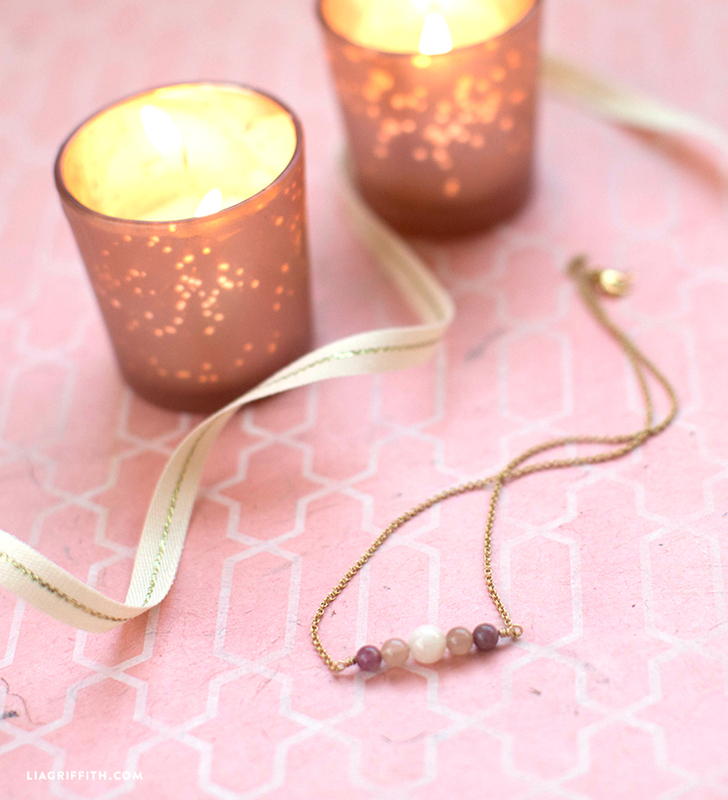 A beautiful new jewelry DIY you’re sure to adore… Introducing our easy rose quartz necklace. 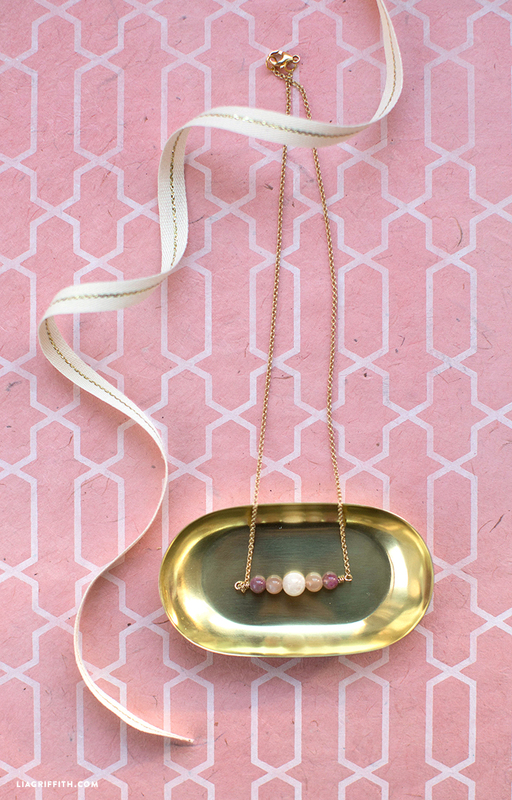 Designer Jessica has a knack for nifty jewelry projects. She came up with this easy and elegant design that’s a fun project for crafters of all experience levels! 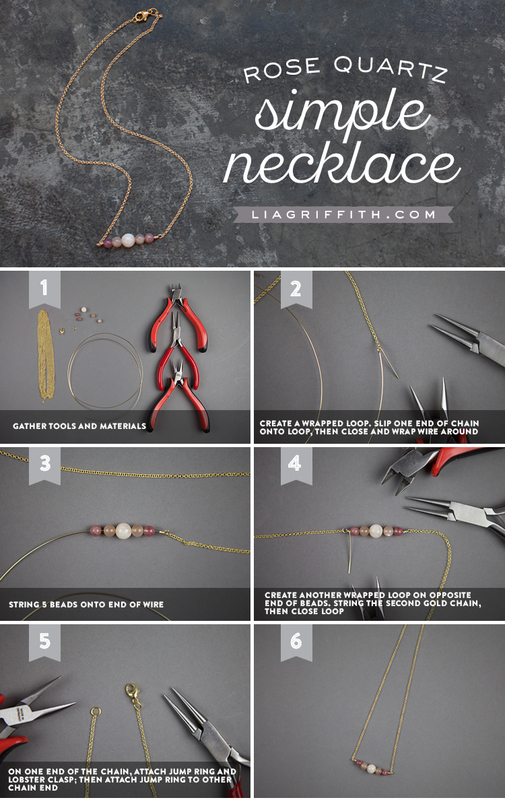 If you’re new to jewelry making, this project might be a good place to start. A few of our DIY jewelry videos will help you in the crafting process — see below and/or check out our You Tube channel here. 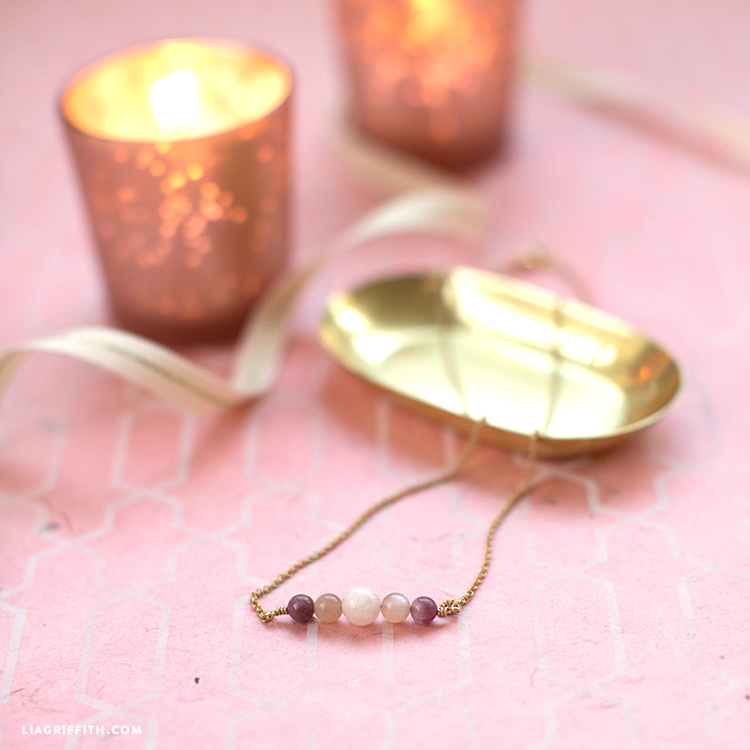 We found our rose quartz beads at our local bead store. 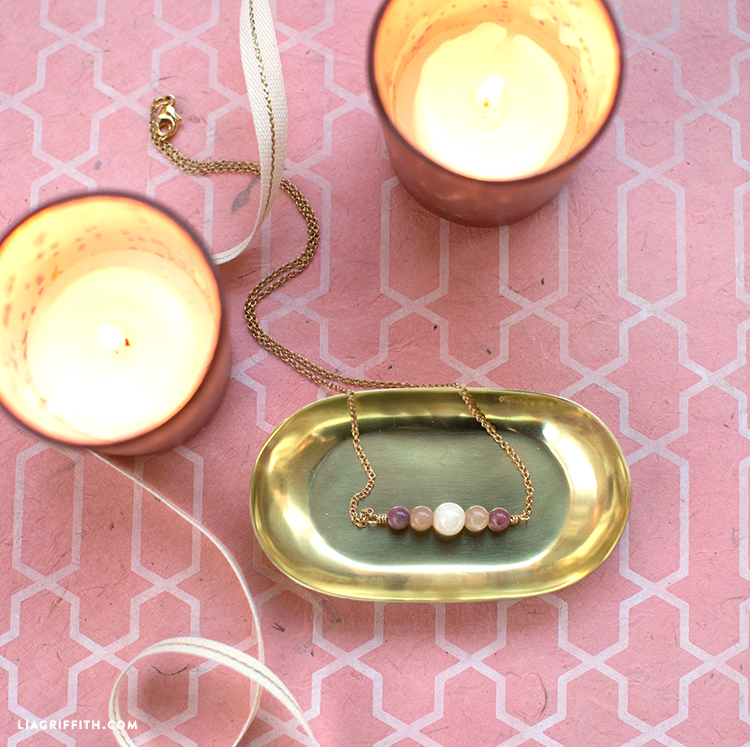 Personalize your necklace with five different beads of your own choosing! Just in time for the holidays, this project makes for a great gift. 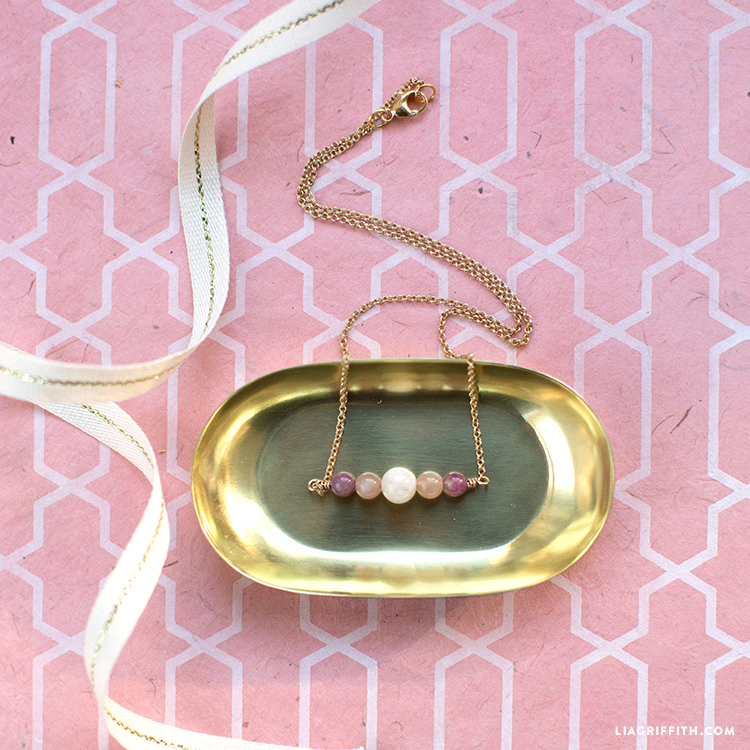 Craft one for each of your jewelry-loving friends! Create a wrapped loop. Slip one end of chain onto the loop, then close and wrap wire around it. String five beads onto the end of the wire. Create another wrapped loop on the opposite end of the beads. String the second gold chain, then close the loop. On one end of the chain, attach a jump ring and lobster clasp, then attach a jump ring to the other end of the chain.